Your Minnesota vacation starts at Pehrson Lodge! Welcome to Pehrson Lodge. We (the Hansons) have been owner/operators of Pehrson Lodge since 1997. As a family, living and working at the resort, has been a dream come true. We can't think of a better place to immerse ourselves in one of North America's most beautiful environments while sharing it with new friends every week. We strive to provide what we truly love and appreciate at Pehrson Lodge... a peaceful private setting in the spring and fall and a warm welcoming family environment in the summer. Each week, past guests arrive and see old friends and new guests arrive and meet new friends. Children make new friends at Camp Twain, play at the beach, learn to sail, kayak and water ski. 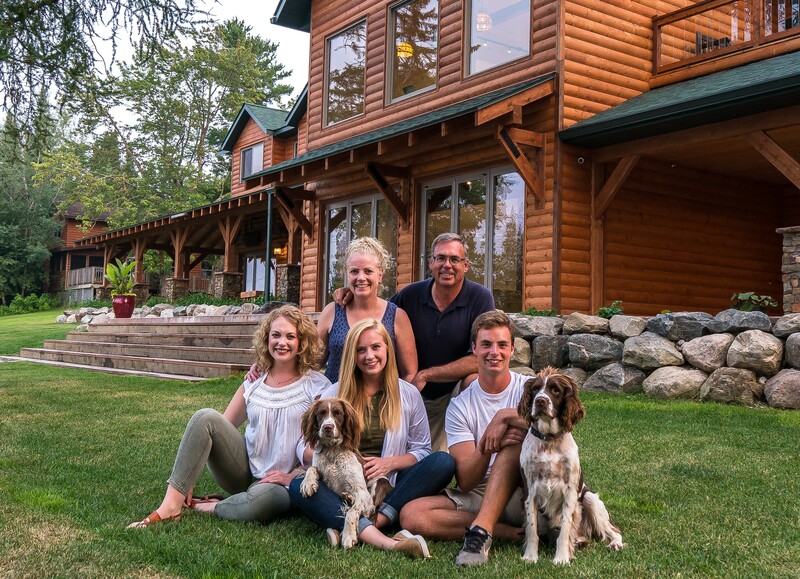 The cherished family resort vacation "up north" is, and always has been, the classic Minnesota vacation. Never forgotten experiences make your Pehrson Lodge vacation unforgettable: catching the first fish, enjoying an evening campfire with parents, grandparents and cousins, or learning to waterski, kayak or sail. These are the memories that make life special. Lake Vermilion is truly one of Minnesota's greatest treasures. We feel Pehrson Lodge is a jewel of Lake Vermilion. It is a privilege for us to live and work here and we welcome the opportunity to share it with you, your family and friends. Join us!